Radio amateurs have received signals over a distance of 43 million km from the NASA ISEE-3 / ICE deep space probe which was retired from service in 1997. On March 1st and 2nd, 2014 radio amateurs were able to detect the beacon signal from the retired NASA deep space probe ICE (International Cometary Explorer) at the Bochum Observatory (Germany). After some changes to the ground equipment and aligning the receive antenna to the predicted position in the sky, the beacon signal could positively be identified due to its frequency, the position in the sky and the frequency shift due to the radial velocity (Doppler shift). For this detection the 20m radio telescope from the Bochum Observatory was used. In 2003, AMSAT-DL converted this former industrial monument into a fully functional groundstation for deep space probes. Since 2009 the facility is being used by volunteers almost full time as ground receive station for data from the STEREO mission with its two spaceprobes monitoring the sun from different viewing angles. 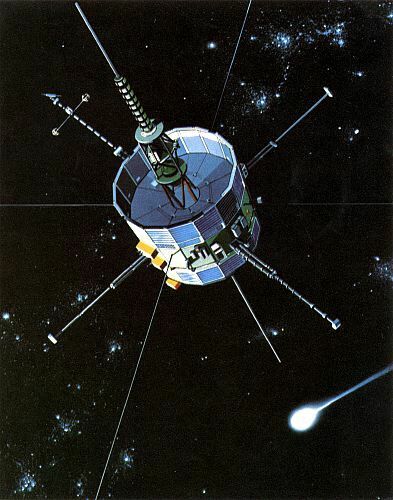 The International Sun-Earth Explorer 3 (ISEE-3) was launched in 1978 and became the first spacecraft to orbit the Earth-Sun L1 Lagrange point, measuring the interaction between the Earth’s magnetic field and the Sun. It was the first spacecraft to detect the stream of particles (“solar wind”) approaching Earth. In 1982, the spacecraft was renamed the “International Cometary Explorer” (ICE) and diverted to the Moon, where its gravitational pull placed ICE on a heliocentric orbit. In 1985, the comet Giacobini-Zinner was visited (the first time a comet had been encountered by a spacecraft), followed by observation of Halley’s Comet in 1986. While the instrumentation on board was still functional and fuel for more trajectory maneuvers was available, support for the ICE mission was terminated in 1997, though the spacecraft transmitter was left on. It was last detected by the NASA Deep Space Network in 2008. Its orbit however results in the spacecraft returning to Earth-Moon space in August of 2014. A small propulsive maneuver and lunar flyby could allow ICE to be directed into an Earth-Sun L1 halo orbit and perhaps resume a science mission, depending on instrument health. However in February 2014 a NASA study determined that the required resources to contact the spacecraft were not available anymore and due to budgetary constraints no further contact attempts were planned. In light of the recent observations and the available facilities in Bochum, additional studies about the economic feasibility to add a suitable uplink are being done. We would like to thank Jeremy Bauman from KinetX Aerospace (Tempe AZ, USA) for providing the ICE trajectory solution which was essential in finding the spacecraft and Jon D. Giorgini from the Jet Propulsion Laboratory (Pasadena CA, USA) for his support. 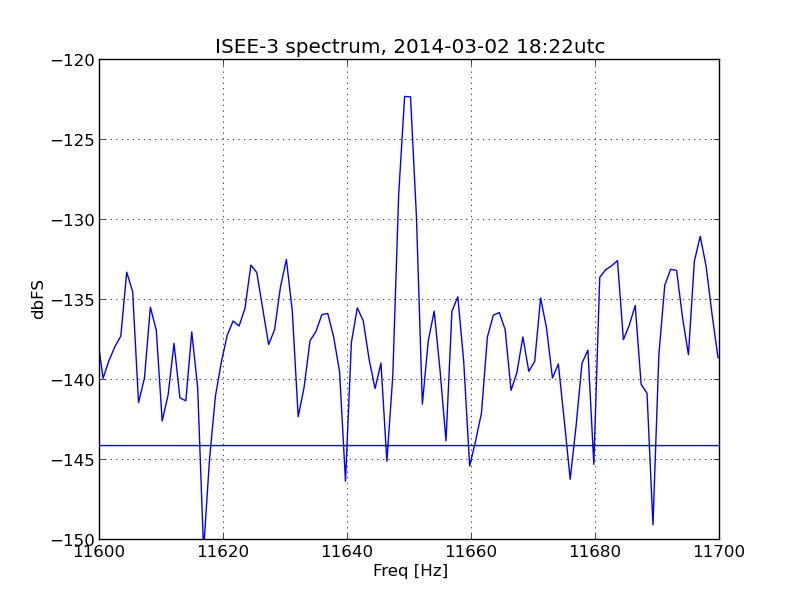 ISEE-3 ICE spacecraft signal spectrum recorded on March 2, 2014 at 1822 UT using the 20m dish antenna of Bochum Observatory, Germany. Range 43M km, azimuth 230°, elevation 49°. Average of 2 spectra spanning 2.1 seconds. With a bin bandwidth of 1.6 Hz, the SNR of 15.8 dB equates to a CNR of 17.8 dB. Indicated frequency is relative to the programmed center frequency of 2217.5 MHz of the measurement equipment. Can Radio Hams Receive NASA’s ISEE-3/ICE ? 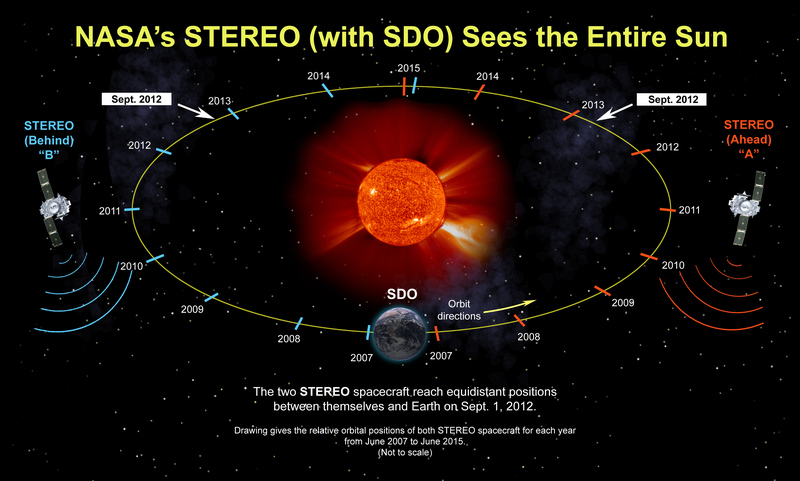 AMSAT-DL reports that on April 2, 2013, the two NASA STEREO space-based observatories switched to Turbo Codes to transmit their real-time space weather data permanently. A network of four ground stations, located at the IUZ in Bochum/Germany, CNES in Toulouse/France, NICT in Koganei/Japan and amateur radio station DL0SHF in Kiel-Ronne/Germany receives this data, and uses turbo-decoding software written by AMSAT-DL. The Bochum station is run by AMSAT-DL e.V. 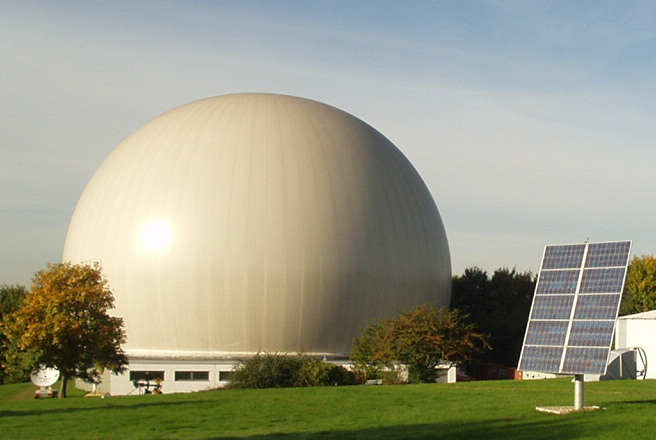 and IUZ Bochum Observatory, with the support of the Federal Ministry of Economics and Technology and DLR. The switch to Turbo Codes has improved reception capabilities of the ground stations by about 2 dB, which is a very welcome improvement giving the increasing distances – 269 and 286 million kilometers respectively – that need to be covered. On December 22 members of AMSAT-DL succeeded in receiving 18 images from the 5840 MHz high-speed downlink of the amateur radio satellite FITSat-1. In total 22 images were transmitted in the test and 18 were received at the amateur radio facility at Bochum. The FITSAT-1 CubeSat was developed by students at the Fukuoka Institute of Technology (FIT) in Japan. As well as the high-speed data downlink on 5840.0 MHz the satellite carries several amateur radio payloads: a CW beacon on 437.250 MHz, a telemetry beacon on 437.445 MHz and an optical Morse code LED experiment. Radio Amateurs have received signals from the NASA Mars Science Laboratory using the AMSAT-DL amateur radio facility at Bochum in Germany. On November 26, 2011 at 15:02 UTC the Mars Science Laboratory (MSL) successfully launched on an Atlas V 541 from the Cape Canaveral Air Force Station Space Launch Complex 41. It is carrying Curiosity, a 900 kg rover about the size of a small car. It is expected to arrive at the “Red Planet” in August 2012 after a nine month flight. Just over 7 hours after launch at 21:45 UTC the X-band telemetry signal from the MSL was received using the Bochum amateur radio facility. The signal, received at a distance of 112,000 km, had a spin-modulation of +/- 3.5 Hz with 2 revolutions / minute. This is believed to be the first reception of the MSL outside the official NASA Deep Space Network (DSN) and the USN tracking station at Dongara, Australia (under contract to JPL for the MSL launch). 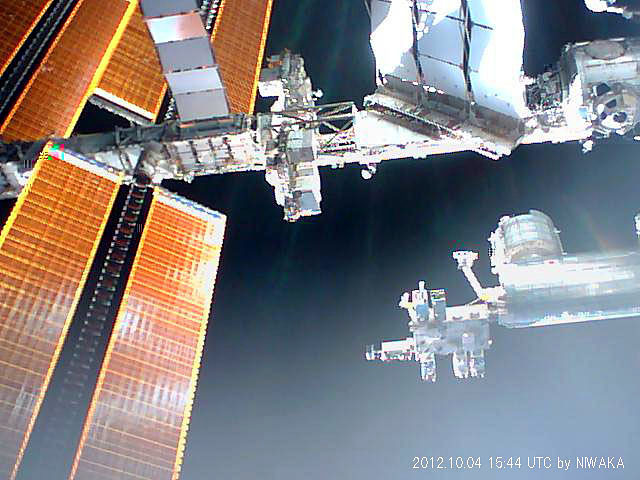 For reception of MSL James Miller G3RUH remotely reconfigured the Bochum tracking and receiving system. The MSL X-Band telemetry signal was received automatically in Bochum, no-one had to be physically on-site. This shows how flexible and reliable the system at Bochum is, ready for the planned AMSAT-DL P5-A mission to Mars. The 20m dish at Bochum is also used by AMSAT-DL to automatically receive real-time solar data from the NASA STEREO A / B satellites. The data is transmitted to a NOAA server in the USA via the Internet. Congratulations to the AMSAT-DL team on a remarkable acheivement.